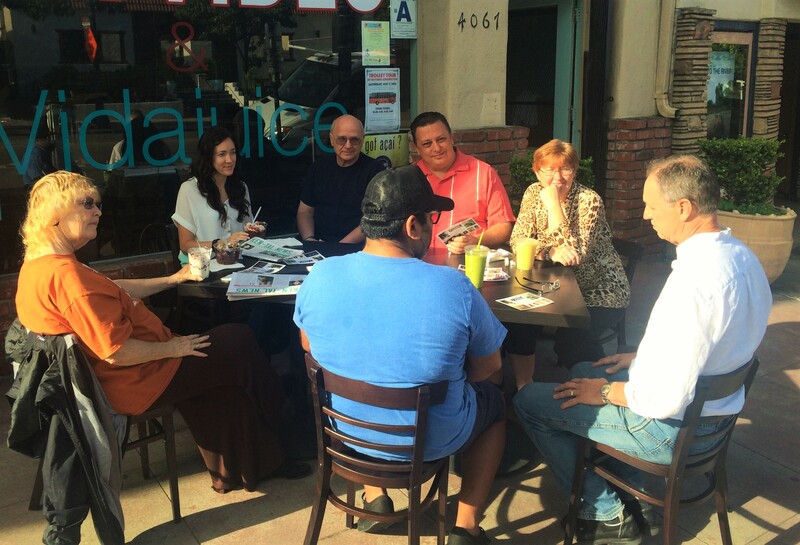 Vidajuice Hosts 1st KBA Morning Chat! The first Tuesday KBA Morning Chat was a HUGE success! Kensington business owners made new contacts on a casual basis. We were able to soak up the morning sunshine and discussed what’s up and coming in Kensington. From real estate trends to art classes to web based design, if you would like to know more join us at next month’s chat. The KBA Morning Chat takes place the 3rd Tuesday of every month! The next one takes place on May 17th at Vidajuice. See you there! !